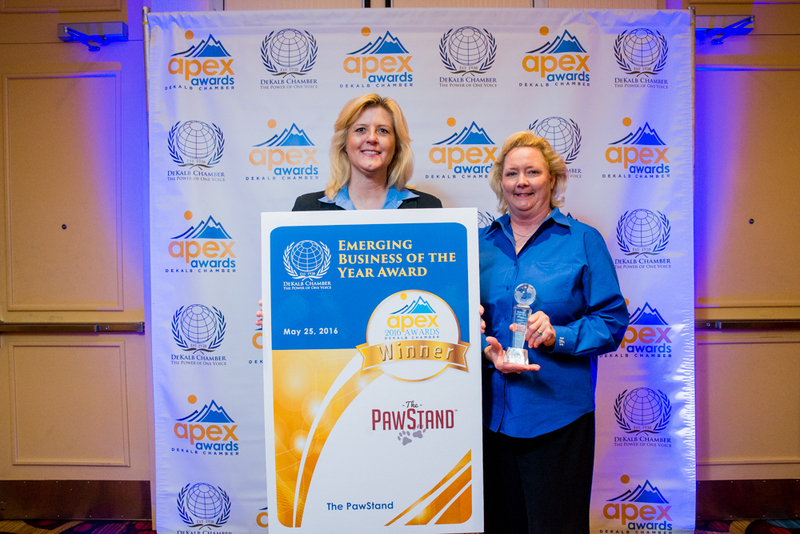 The DeKalb Chamber 2016 Emerging Business Award recipient The PawStand is celebrating their 1-Year Anniversary Pawty on September 10. Learn more about their work with pets and their local community in this month’s Member Spotlight. What did you two do prior to The PawStand, and why did you decide to open the shop? Jennifer Andreae, MS, PT, DPT, CCRT has lived in Atlanta since 1986. She is originally from Fort Lauderdale, Florida. She is a Physical Therapist and a Certified Canine Rehabilitation Therapist. She has always had a deep love for animals, especially dogs. Jennifer received her Bachelor’s degree in Physical Therapy from the University of Miami. She earned her Master’s degree in Physical Therapy from Georgia State University, and completed her Master’s thesis on exercise in an underwater treadmill system versus exercising on a land-based treadmill. She received her Doctorate of Physical Therapy from Arcadia University, and her Certification as a Canine Rehabilitation Therapist from The Canine Rehabilitation Institute. Donna Raney moved to Atlanta in 1987. As an Army brat, she was born in Paris, France and moved multiple times through Europe and the U.S. At the age of 9, her roots were planted on a 52-acre farm in Arkansas in the valley of Petit Jean State Park. She and her family cultivated many gardens, raised cattle, chickens, and pigs. She was responsible for feeding the livestock before and after school in addition to working in the gardens. Donna always had pets and a love for animals. Her family lived off the land by consuming what they harvested as well as selling their livestock at state auctions. Their grass fed beef was derived from heritage breeds of livestock which were nurtured from calves. Their beef, pork, free range chickens and eggs were free of antibiotics, steroids, and hormones. Their food was of the highest quality that you could put on your table. Her dogs were fed all natural diets and always remained healthy. As a young adult, Donna worked in the corporate arena in the airline and auto industry for 20 years with her pet sitting and web design business on the side. She was a webmaster for a female country music artist for 10 years, and was awarded a Commemorative RIAA Certified Gold Album in 2006. Her pet sitting company did so well that she decided to part ways with corporate America and web design to give her full attention to her true passion. She owned and operated Pet Attention, LLC on a full time basis for 7 years. Donna always dreamed of owning a brick and mortar business where she could share her passion for pets and experience with natural nutrition in order to help people to make better choices for their pets’ health and longevity. In her spare time, Donna enjoys playing guitar, SEC college sports, fishing, grilling out and spending quality time with her dogs. For those who have never visited The PawStand, what makes it different from the other pet stores? The PawStand is a unique, “petcentric” store offering a combination of pet retail & services that is unmatched in the Southeast! We are dedicated to all natural, made in North America, foods, treats, toys, supplements, and accessories, in addition to offering two elevated, self-serve dog spas and a one of a kind tea cup spa for our tiny friends. 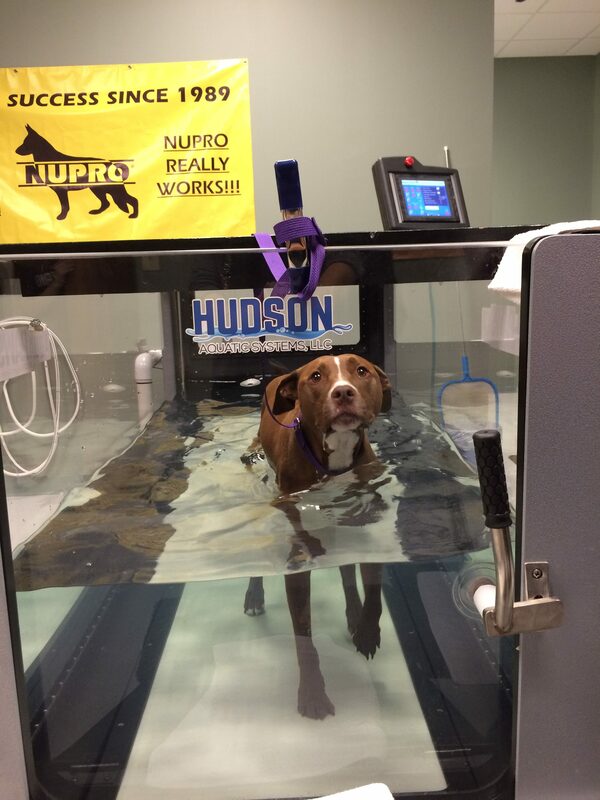 The PawStand takes great pride in the canine rehabilitation & fitness facility, complete with an AquaPaws Plus underwater treadmill system, cold laser therapy, and a certified canine rehabilitation therapist. When you enter The PawStand, you will smell the red, juniper cedar that represents it’s down home feel. You will be greeted by the owners who take pride in getting to know their customers, both furry & human. The PawStand is a resource for the community, established to assist pet owners with natural solutions regarding pet nutrition and health related conditions. Tell us about your 1-Year Anniversary. What can people expect at the celebration? Bring the whole family and help us celebrate being a part of the City of Doraville, Georgia & DeKalb Chamber of Commerce Community! Why is it important to you to support the police and their K9s? The police have a challenging job to keep our community safe. The police K9s have a dangerous job protecting their human police partner. They are often sent into unknown territories. Do you remember City of Doraville Police Department’s K9 Officer Tryko who was stabbed earlier this year? He will be honored with the American Kennel Club Paw of Courage Award at The PawStand’s 1-Year Anniversary Pawty on Saturday, Sept. 10th! This National award specifically recognizes the extraordinary sacrifices of dogs who have been severely injured or killed in the line of duty. Thank you K9 Officer Tryko & Lt. Deyette for your service and keeping all of us safe! We will be raffling off 20 gift baskets (worth $150 or more) at our event, with proceeds going to outfit our K9 police officers in bulletproof vests to help keep them safe! The PawStand is a community minded business. We recently participated in The Brook Run Dog Park clean-up day in preparation for their 10th Anniversary Event. We sponsored the AAA Brewers Little League Baseball Team at Murphy Candler Park. Last year at our Grand Opening, we raised funds for K9’s for Warriors Organization. We have provided raffle gift baskets for many fundraising events including; WellPet Humane, The Community School in Decatur, DECA—Dresden East Civic Association (For Doraville & Chamblee’s Police & Fire Station), Angels Among Us, and Planned PEThood of GA. We have donated pet food to Angels Among Us, Orphan Annie’s, Pet Buddies Food Pantry, Bulls Eye rescue, & The Desperate Dogs Ranch. We have recently established (with the help of our community) a “Pawlice Fund” which covers the cost of purchases by police officers for their K9 partners. Also, we extend complimentary dog spa services for the K9 officers.